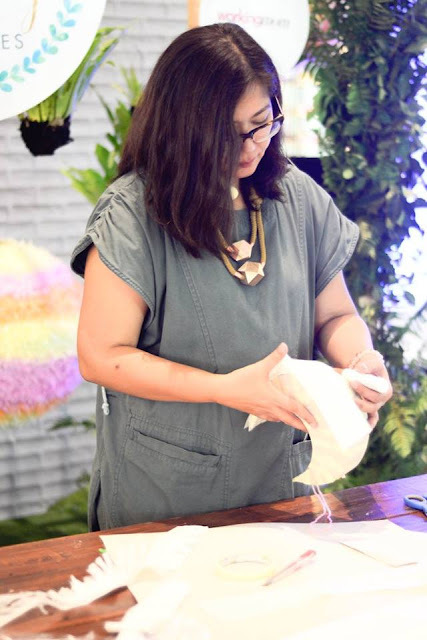 Last April 9, I was invited to join piñata and tassel garland making by School of Styling Philippines. 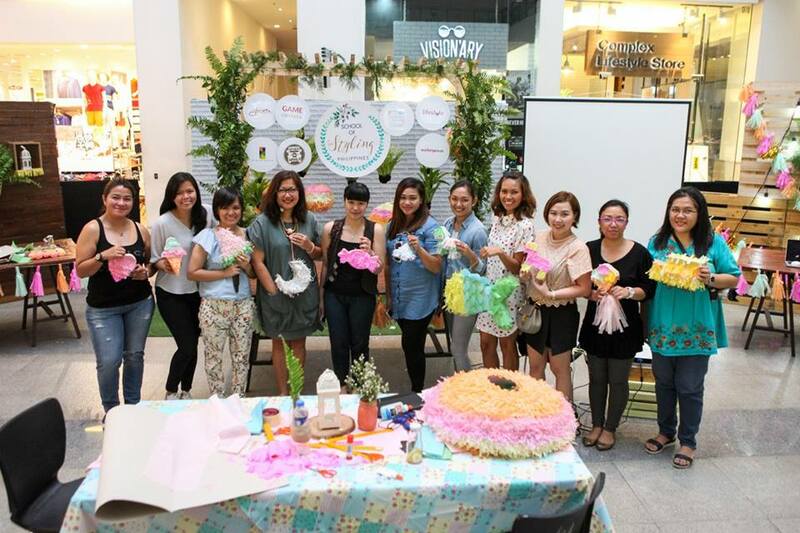 The workshop was held at Glorietta 5 Activity Center. I am so excited to be part of this workshop since my son will be having his 1st birthday party and I want to DIY some of the party decorations. Imagine how perfect this workshop for me. Yey! There are three batches/session for that day and I belong in Batch 2. 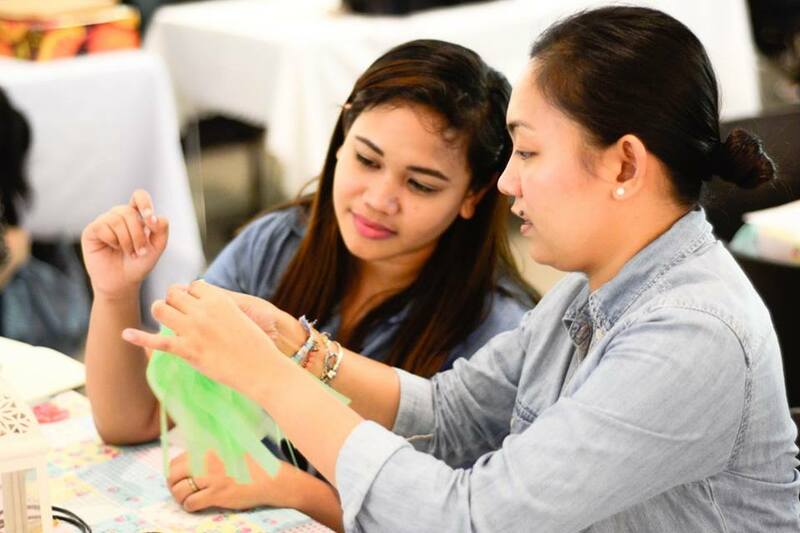 First, we learned Basic Photography by Geunice Burgos of Lightkeepers Studio. We were taught how to use our mobile phones to capture good quality photos. 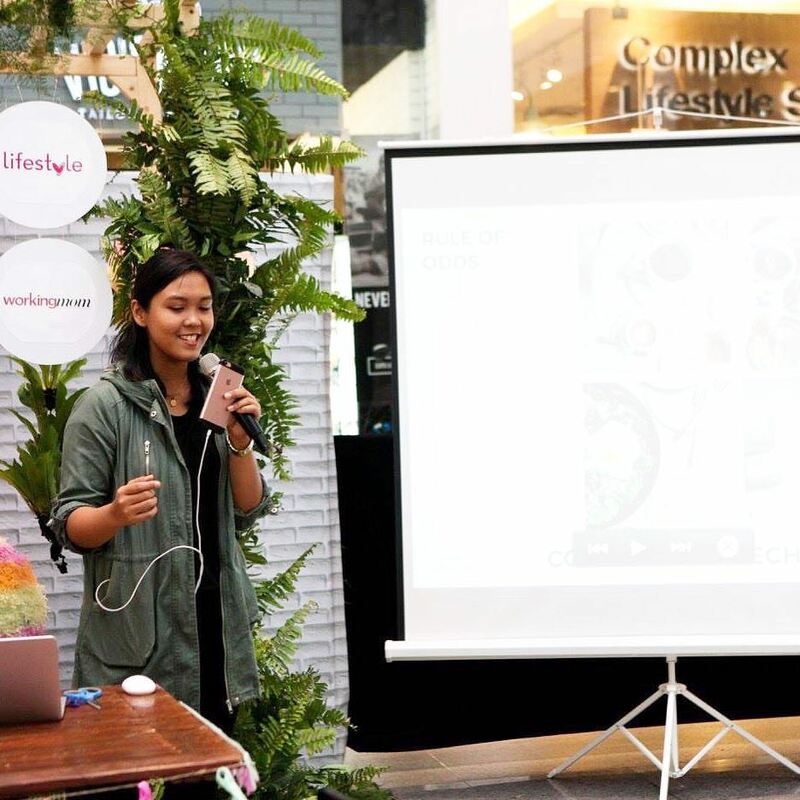 Some of the advice she shared in getting the perfect shot is to always mind your background, look for clear shot or clear angle, be an ultimate oc person and turn off your auto-focus feature of your phone. To check the quality, zoom the photo you have taken. For beginners there are common techniques to capture quality photos. First is to know the composition technique, second is rule of third, third is turn on the grid feature of your phone and put the subject in intersection points and lastly is negative space. Other techniques to apply are rule of odds and flatlays. For editing photos, she recommend instagram, vsco and snapseed. After that, we move to tassel garland making lead by Indy of She Dreams in Ink. All materials are provided in front of us. 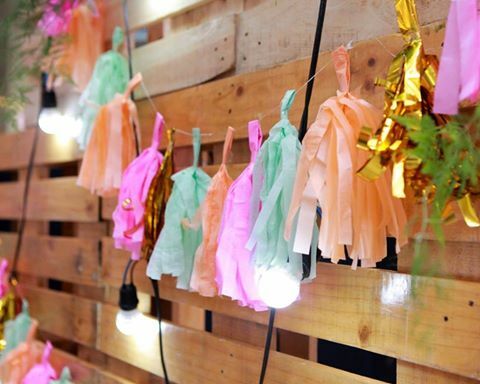 Repeat to create additional tassels in various colors. Hang from thin cord or ribbon. I was not able to make a complete set of tassel garland because I made mistakes repeatedly and I don't want to share it because it's very stupid but I was able to make one on my own and we use it on my son's photoshoot. I will make a separate blog about it. It's very easy and I'm planning to make one again for my son's candy buffet on his birthday. Choose a shape for your pinata. You can use or search for free printable template online. After completing the shape leave a hole where you will put the treats. Cut out tissue paper. Same instruction as tassel garland but smaller strips. Attach and layer the strips using glue or scotch tape. Start at the bottom and work upwards. When you finish putting the strips, put on your treats inside. You can add a cord for pulling. Cut some excess or unwanted strips using scissors. I made a small triangle piñata and Celin made a small donkey. Others made an ice cream, candy, heart, purse and fish piñata. Indy made a beautiful crescent moon. 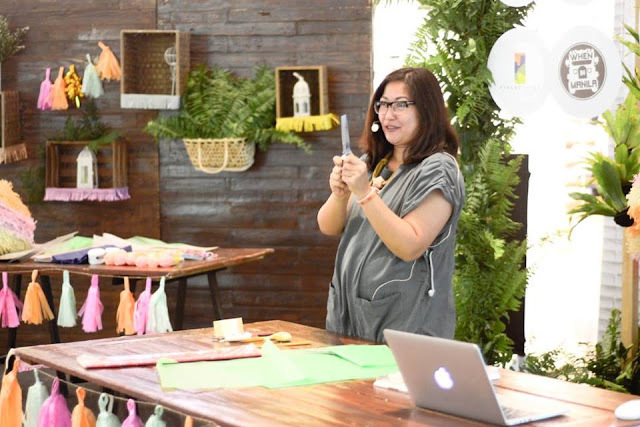 I had so much fun in this workshop and I'm so glad I can apply it in any type of occasion. Thank you Mommy Blogger Philippines for this opportunity and to Ms. Emm Sulit of emmsulit.com for having mommy bloggers experience this. 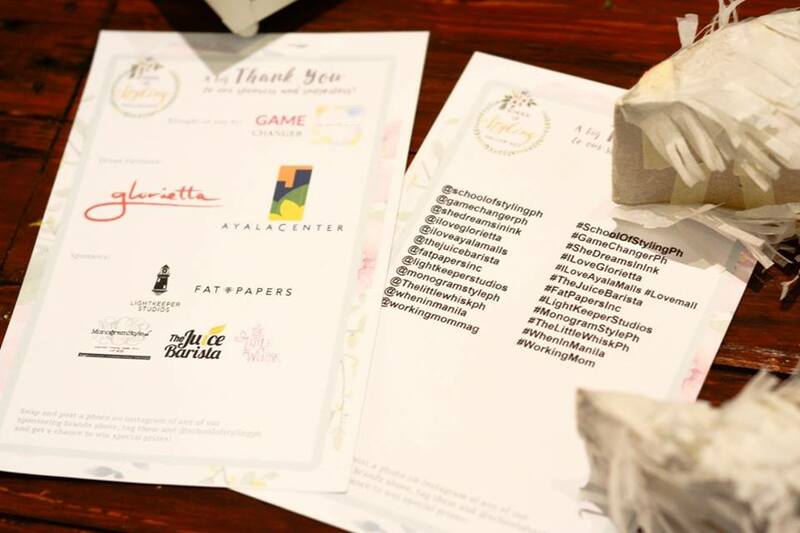 Special thanks to the brand partners of this event. 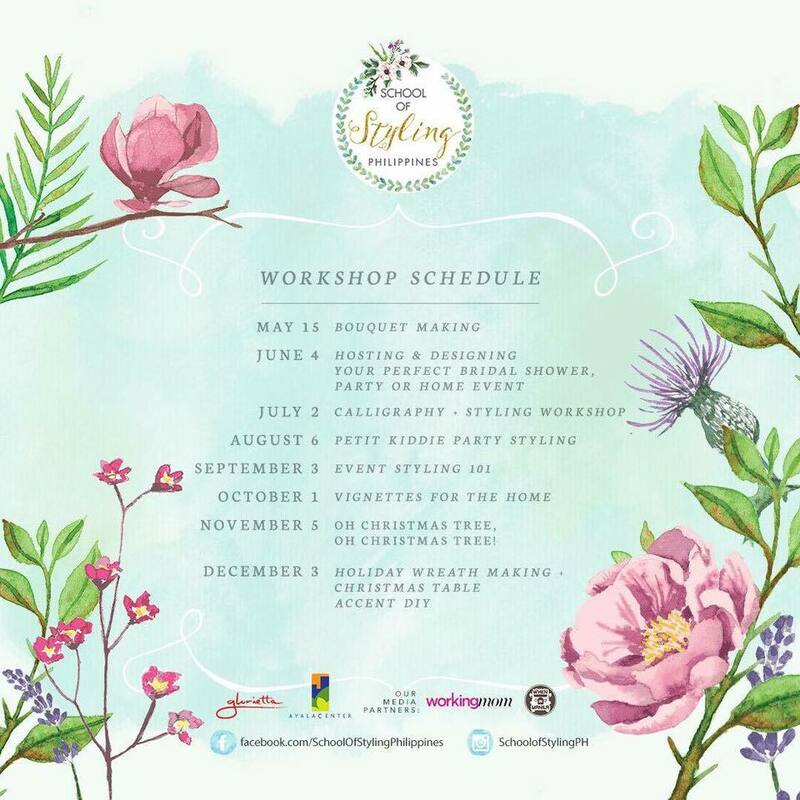 Here are list of their other workshop so sign up now! *All photos are grabbed from School of Styling facebook page and captured by Lightkeepers Studio. Hi Nina! Yes I remember you. I like your candy piñata. It's very creative. Hope to see you again on next event. That was pretty and colorful. I'd love to do a lot if DIY's before but lately I have no much time doing other things. I might try doing it and let my creative juices get into me once again. Nice this is very creative. I remember buying boxes of these that are really costly. Thanks for the info. This is really nice. I am not an avid crafter but I enjoying doing a few what knots especially during my kids party to add a personal touch in everything I do for them. A pinata, a personalized one would be a brag worthy project I could also trying doing when my kids hits his 7th birthday. I'd love to attend the bouquet arranging event though, hopefully one day if I can find time. Wow! This is super fun o! Ang cute lang ng mga gawa nyo! 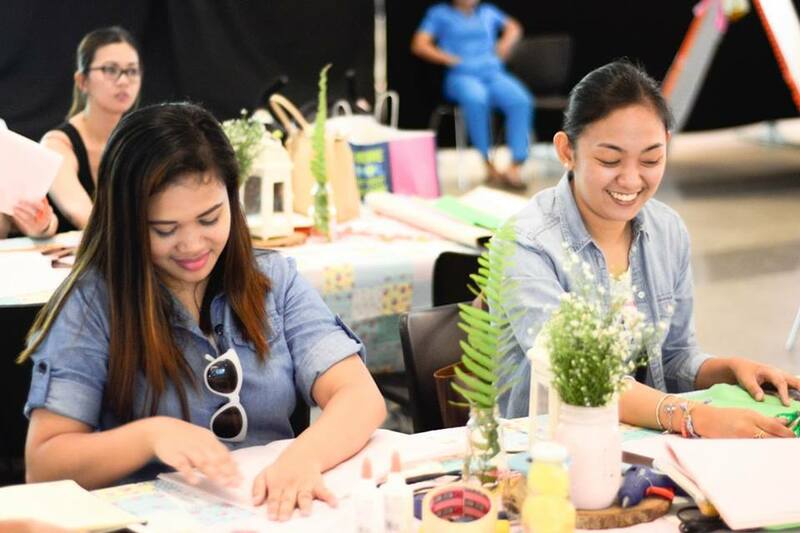 Sana I can join workshops like these too. Love to try this kind of activity. Can reveal your inner artist and definitely have fun with new friends! That looks a cool and fun activity! I'm interested with their Calligraphy and Event Styling Workshop. Hope to be able to try one of their workshops soon! 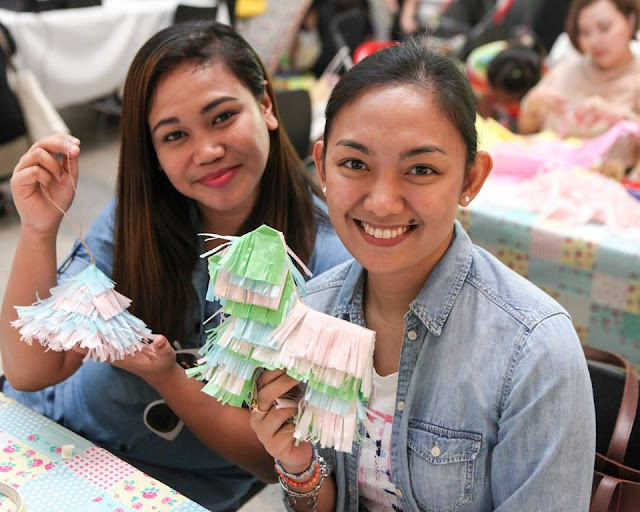 soo cute.. i remember making my own piñata with my lil bro for our art blog.. too bad I got so busy and we never update that blog for more than two years now... this seems like a fun event and I bet kids will also enjoy this too! These are too cute! And the colors, of course. All I can say is that Filipinos are so creative talaga. If you enjoy creating these stuffs, it could possible be a good business idea for creatives. Why not? 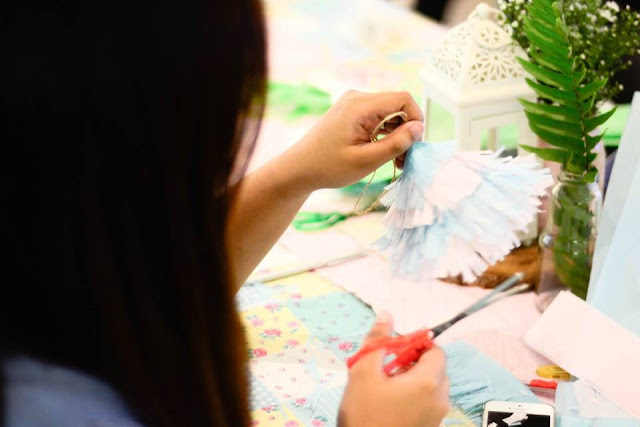 Thanks for sharing the detailed requirements on how to create these awesome DIY crafts. I'll surely give a try one of it soon.